Flashing energetic ultra-speed elipsoid visuals that will raise your pulse. Let see the website of utility solutions! Our library holds a set of software utilities, free programs, demonstration, and shareware PC program applications to settle in various categories. Our library is certainly free to test. Go for excellent program downloads and economize your time! Surf the great download excellent program collection: system programs and apps, data protection software programs, backups, and a lot of varied cool apps. Have a look on the best utilities library on Softempire.com: there millions of exciting and handy programs waiting for you. These visuals will give you energy, raise your pulse and make your heart beat faster. 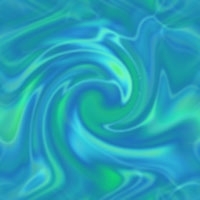 Download hypnotic screensavers for your mobile phone at http://www.mobile-visuals.com ! Run it in Windows XP compatibility mode to make it work on Vista.